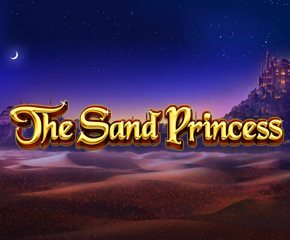 The Sand Princess is a video slot developed by 2by2 Gaming. It is an old-Arabian themed game and features a nicely crafted background consisting of sand dunes, golden skies and Arabian-style houses in the distance. There a Free Spins bonus feature with four free spins options. You also have a Sand Princess bonus with Multipliers and Wild Reels. Check out the game’s review below for some more information. When you load up The Sand Princess you will see a playing screen with 5 reels, 3 rows and 30 active paylines. Below the reels is the pay table showing the “Bet Per Line” for setting bets with the (+) or (-) buttons. There “Total Bet”, “Paid” and “Balance” information is also provided on the pay table. The reels occupy a good chunk of the playing screen, but you can still make out the beautiful, dusty Arabian setting background. The borders of the reels are decorated with an Arabian styled golden frame. On the reels, thee are both high and low-value symbols. The low-value symbols are the standard playing cards of A, K, Q and J. For the high-value symbol, you have an eagle, a white stallion, a magnificent palace, a chest, a green potion and a bearded prince. The Wild symbol of this game is The Sand Princess herself and she shows up on every reel and can be stacked on reel 3 only. She helps in forming combo wins, but will not replace the Sand Timer Scatter. The Random Multiplier Free Spins Option: You will receive 10 free spins with combo wins during this round earning players 2x, 3x or 4x multipliers. The Wild Reels Free Spins Option: Players will earn 10 free spins and in a situation where reel 3 in wild another reel will also be made Wild. The Random Wilds Free Spins Option: 10 free spins will be earned with Wild icons added to the reels at random. The All Features Free Spins Option: Players will get 10 free spins with either Wilds, Multipliers or Wild Reels active on every spin. It must be noted that extra Free spins cannot be retriggered during the round. 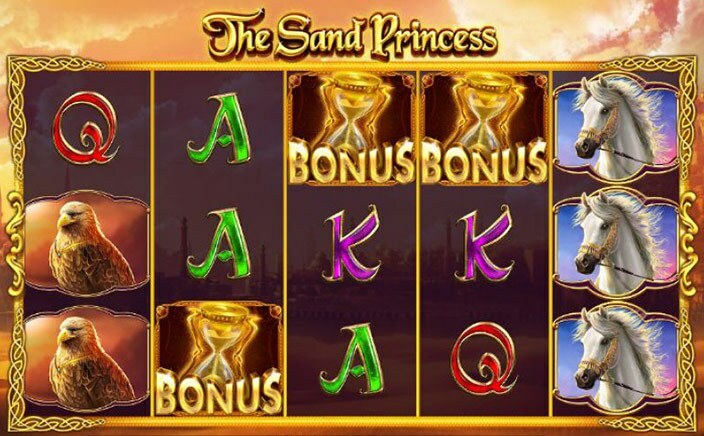 The Sand Princess video slot has a fun and exciting gameplay with great opportunities to earn decent payouts. Players can take advantage of the free spins options to boost earnings and their game comes with a 96.05% RTP.